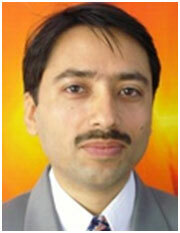 Mridul is B.Tech (Electronics) with a long experience in Sales and marketing. He took up Yoga when he was highly stressed by the highly competitive sales and marketing targets. Yoga not only relieved him of stress but also motivated him to study in detail . He did full time one year Post Graduate Diploma in Yoga and dedicated his life to serve people facing from similar problems in Industry. He specialize in Suksham Vyayam& Sthula Vyayam which are well-suited to warm up and for general body work out suitable for standing sessions in corporate. Some of the corporate for which he conducted sessions are CLAAS India Ltd, MAX Healthcare, NEC HCL, IBM and other corporate. He believes that a healthy Body leads to mental calmness, practice of Yoga stabilizes the tranquility of the mind and relax the soul. 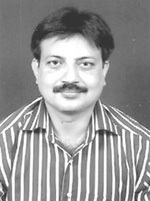 Kanta Prasad is PG Diploma & M.A in Yoga. He was doing a comfortable and lucrative business of LIC agent when in the process of selling life insurance policies, he realize the importance of good health. Instead of just selling the policies he decided to educate people with the importance of keeping good health with the help of Yoga. 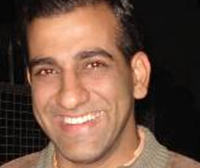 He is expert in Power Yoga and Therapeutic treatment of Back Pain. Some of the corporate for which he conducted sessions are Barclays, Pyramid Consulting, Tangance, NIIT, Tata AIG, Times OOH, Bharat Petroleum and IBM. He insist of doing the exercise in a right way to get benefit, according to him too much of exercise without proper rest can lead to wear and tear of the body, it must be balanced to yield good results. “Learning never ends”, there is always a scope to learn and improve your skills. We always encourage our Instructors to learn more from experts. We feel pride to be associated with people who have excelled in Yoga. He has delivered specialized lectures for our corporate trainers in field of advanced yoga techniques, meditation, Suksham Vyayam & Shatkarmas etc. Her specialization is Sankhya Yoga Darshan mai Anthakaran. 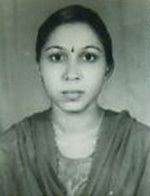 She is member of several Yoga Bodies and have published several papers. She has delivered several specialized lectures to our corporate trainers on Yoga for working women, Yoga for back pain, Yoga for busy people etc. 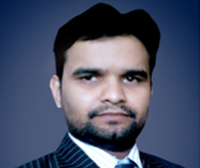 Dr Kamakhya Kumar is Post Graduate in Applied Yogic Science from Bihar Yoga Bharati, T.M.B.University, Bhagalpur. He has got Doctorate in the area of Yogic Science for his work “Psycho-physiological Changes as Related to Yoga Nidra” done under the Guidance of Hon’ble Chancellor, Dr Pranav Pandya and received the award in the auspicious presence of President of India H. H. Dr. A.P.J.Abdul Kalam in the Year 2006. He is working with the Dev Sanskriti Vishwavidyalaya, Haridwar (India) as Assistant Professor in the School of Yoga and Health and teaching the post graduates since 2002. Apart from that he has the additional charge of Yoga Arogya Polyclinic as chief coordinator since 2007. He has to his credit publications in the form of Books on Yogic Science (including Manav Chetana Evam Yoga Vigyan, Yoga Rahasya, Super Science of Yoga, Yoga Mahavigyan, Yoga Chikitsa Sandarshika and Yoga Therapy) and more than 36 research papers published in different National and International Journals till date. He has also delivered lectures for various institutions and broadcasted a series of talk on All India Radio. He has a keen interest in the area of research particularly the multidirectional aspects and psycho-spiritual facts of Yoga. He is guiding now a day Ph. D and short Researches in several Universities. From his busy schedule Dr Kamakhya Kumar finds time to provide advanced level training to our senior corporate trainers in meditation and stress management.